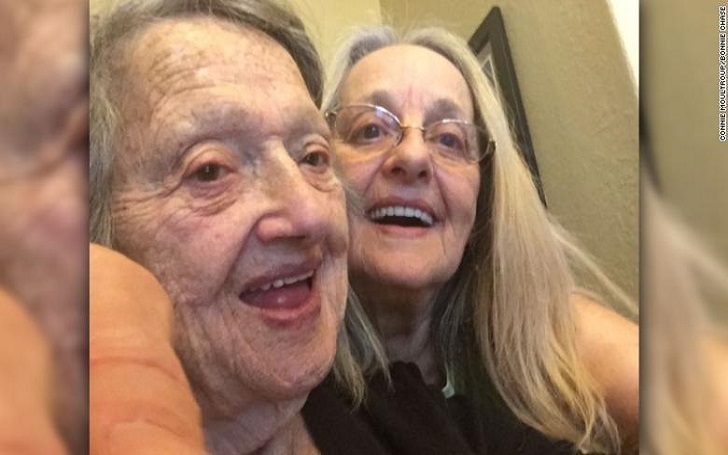 A Florida mother, 88, and her daughter, 69, of whom she was told had died in childbirth, were reunited after an online DNA site reconnected them. According to Fox 13 report, Genevieve Purinton gave birth to Connie Moultroup when she was 18 years old in 1949. However, Genevieve was told at the time that the baby had died. Recalling the moment, she said, "I said I wanted to see the baby. They told me she died." The mom and daughter reconnected on Monday, December 3, after the two found each other via an Ancestry DNA kit, which Connie received from her daughter on the Christmas Day of 2017. She finally found out that the name, she always thought was her mother, happened to be her cousin. Well, after the truth was identified, she tried to call her cousin by the name of Genevive, but she had a new surprise for her. She said, "That's my aunt and she's still alive." Connie said she's spent her entire life "wanting this. I remember being 5 years old, wishing I could find my mother." Connie was adopted and raised up in Southern California, her daughter told NBC News. The 67-year-old's adoptive mother had passed away when she was 5. Her stepmother reportedly was apparently abusive. During the mother-daughter reunion on Monday, they hugged for a long time and went through tears. When Genevieve told her daughter, "You're really not dead", she replied, "I'm not dead."